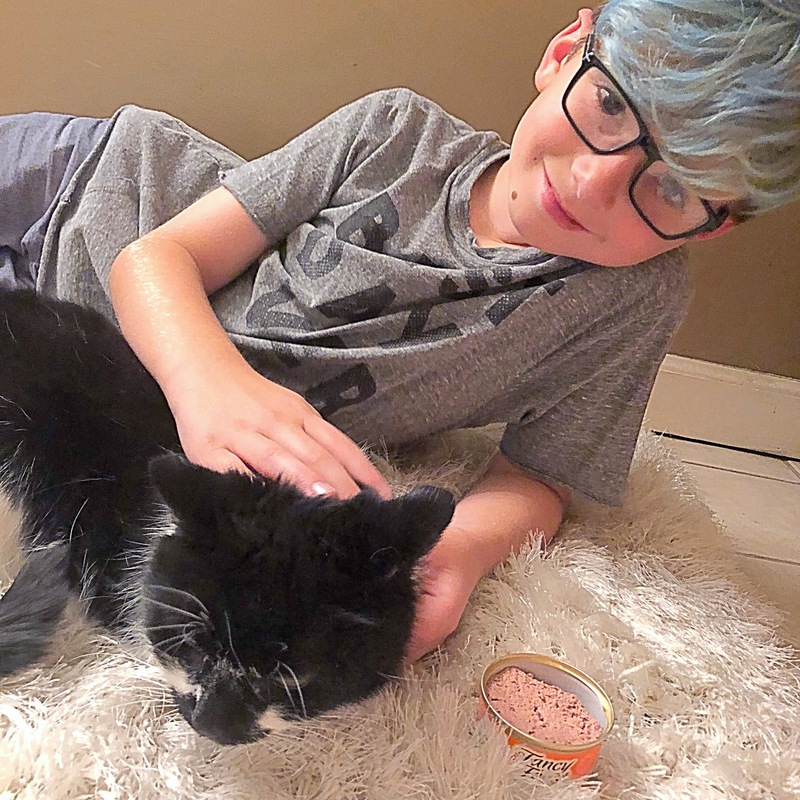 You know that Rylan is such an animal lover, but he holds a special place in his heart for our family cat, Martini. Martini has been in our family for well over 12 years and is a total diva. I adopted her for my mom after my dad has passed away because she had always wanted another cat in her life and I knew it would make her happy. She was always extremely special to us and was and is to this day, so spoiled. Even though she is getting older, we want to continue to make sure she is eating healthy and getting all the vitamins & minerals she needs to live another 12 years. 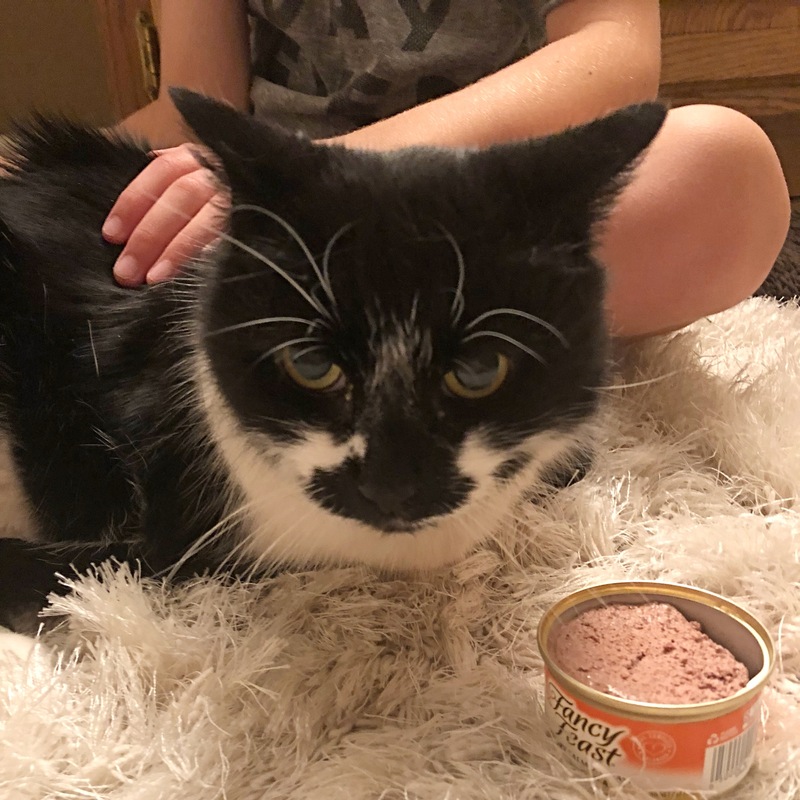 We’re all so busy (and want to make sure we are the PURRFECT cat parents) so the One Stop Cat Shop at Walmart is definitely our go-to place for all things cat, including food, treats, and litter. Not only is it a super convenient one-stop shop as it’s right down the street, but it’s also a great place to stock up and get a great value. 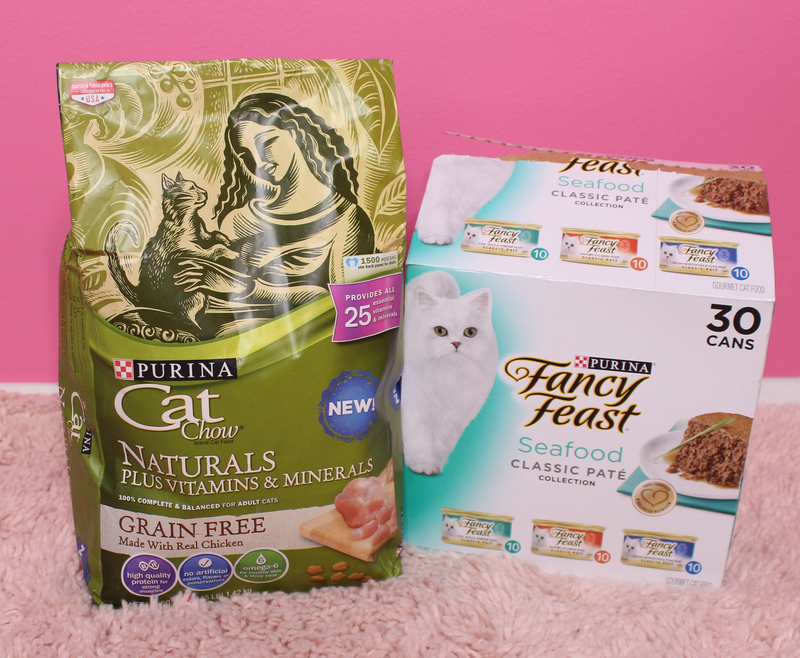 Thanks to Shopkick, you can earn special Shopkick offers on participating Purina brands at Walmart. Martini is always wanting to eat. As soon as she hears you open up the bag or a can, she comes running. She knows what kind of food she likes and what she doesn’t. 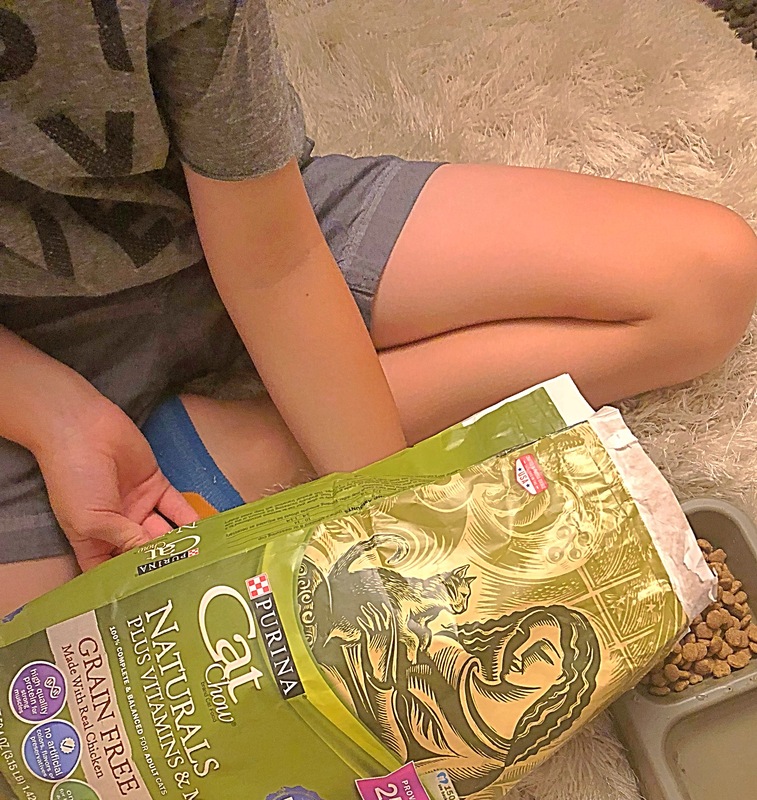 Purina has always been our go-to and I love that they now have a grain-free version of their cat chow. 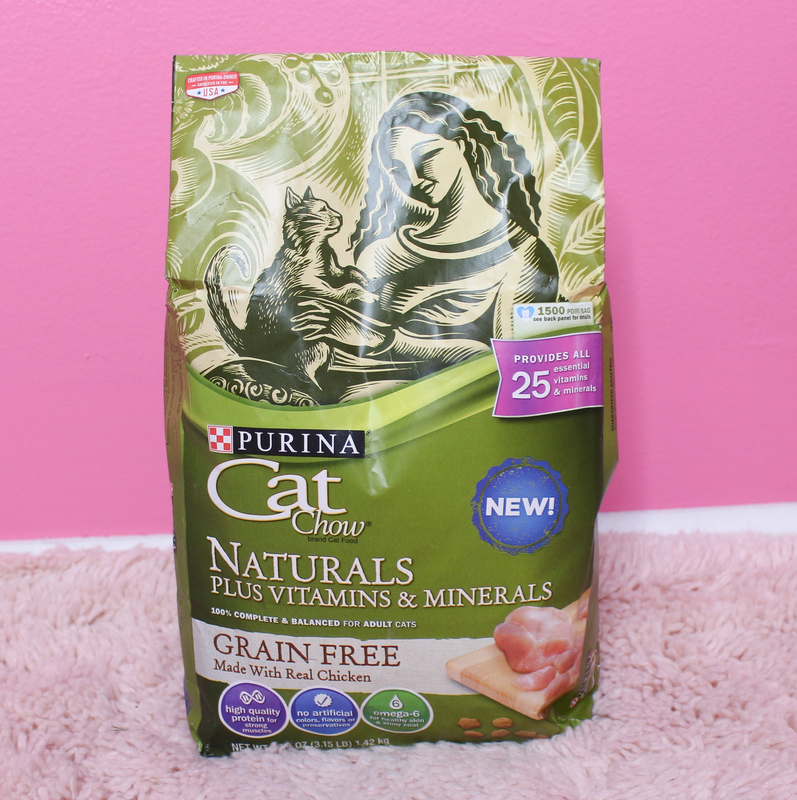 Purina Cat Chow Naturals Grain Free provides her with all 25 essential vitamins and minerals to help support her overall health and wellness. Because she’s a total diva, she prefers it when we mix a small portion of wet food into her dry food. 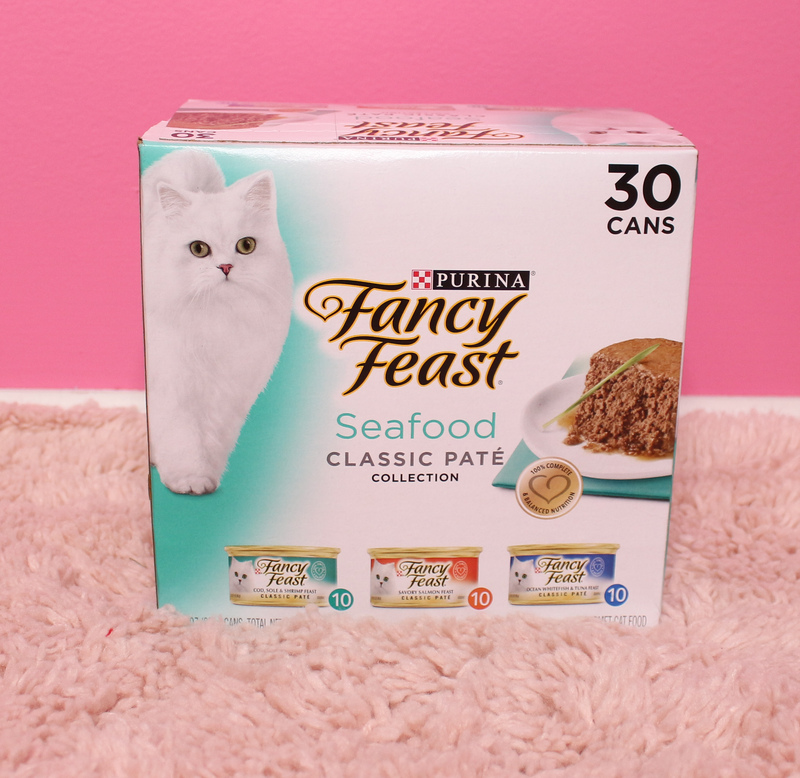 The One Stop Cat Shop at Walmart has a 30 can pack of the Purina Fancy Feast Seafood Classic Pate collection that she loves! We usually will give her half a can and pour it on top of the dry food. It moistens up the dry food making it easier for her to eat. One thing you can never have enough of is cat litter! 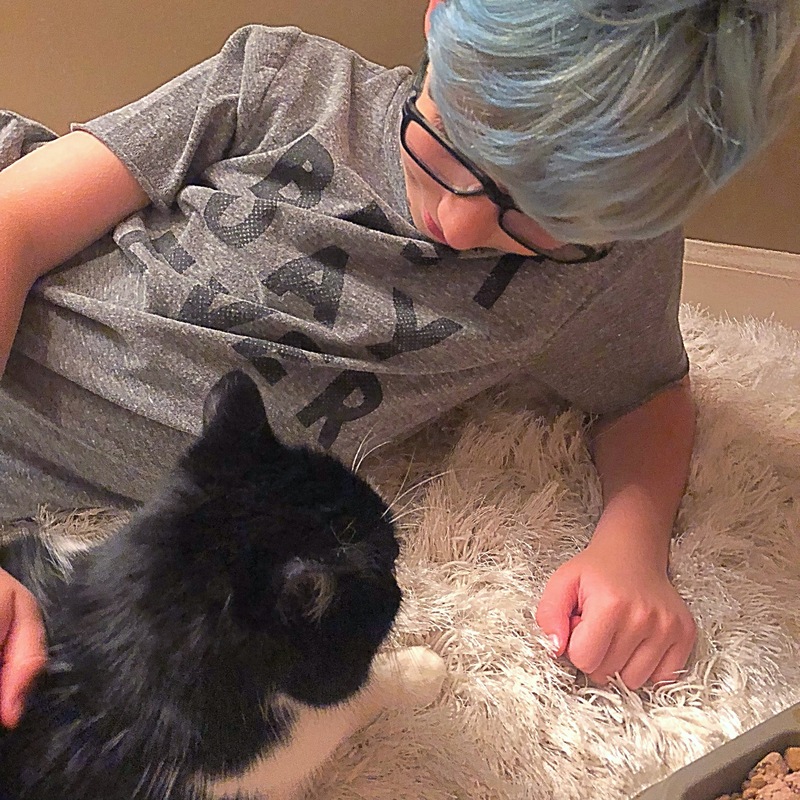 Walmart has a large bucket of Tidy Cats Lightweight 24/7 cat litter for under $20 that is lightweight and contains a powerful triple-odor protection that will defend your home against strong smells. If you’re thinking of adding a furry kitten friend to your home and don’t know where to begin – no worries! Head over to the One Stop Cat Shop Hub on Walmart.com and eduCATe yourself (See what I did there?) You can learn about do’s & don’t’s, when to switch from kitten food to cat food and how often you should be changing the litter box. It’s extremely informative whether you’re a new or experienced cat owner. 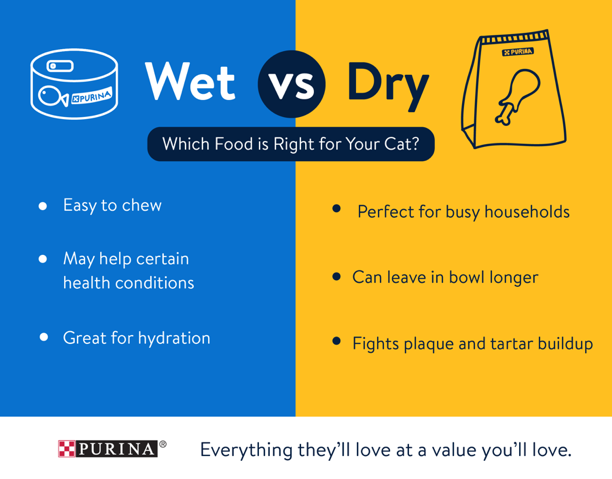 How will you treat your cat this Summer? The One Stop Cat Shop sounds great – how convenient to be able to get all your cat-related goods in one place! My cat also loves to eat. I know when her bowl is empty because that’s when she starts begging for our attention. She’s a Siamese, so usually doesn’t like a lot of affection, unless she is hungry! We always shop at Walmart and love all of their cat items there. I adopted my cat from outside when it was a really cold night in Orlando and her momma walked onto our back porch at our apartment, then walked away and left this one. She stood out there meowing for 30 minutes and momma never came back so I brought her inside! I don’t have a cat but if I did I’m sure these items would be a great go to! I definitely will try these!! Plus the cat is so cute! While I don’t personally have a cat, I can see how convenient it would be to have a one stop shop for cat stuff at a major retailer like walmart. My sister is a huge cat lover and is obsessed with hers! I will definitely have to let her know about all of these fun items! I have never really been a cat person, more of a dog person. I do have friends who have cats though, and they use all these products. We love picking up the small spaces cat litter from walmart they have such good prices! & cute kitty accessories! I didn’t realize that Walmart had a thing like this for first time cat people. It’s pretty cool that they have something for people who are first time cat buyers.